Writer-director Louis Malle’s filmography is nothing short of eclectic; over the course of his decades-long career, he tackled war dramas, screwball comedies, coming-of-age chronicles, an assortment of international documentaries, and even a landmark film noir. 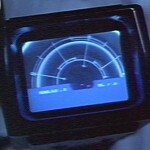 Yet, even considered within this vast oeuvre, Black Moon (1975) stands out as a singular, unparalleled dream of a film. While its leisurely pace, lack of dialogue, and strange symbols may initially come across as arbitrary at best and pretentious at worst, Malle is not just posturing here. Gradually, he reveals a larger purpose: to portray a girl being dragged, kicking and screaming, into the adult world. The film’s opening scenes follow Lily (Cathryn Harrison) as she drives through the countryside in an attempt to escape a literal battle of the sexes between men and women. 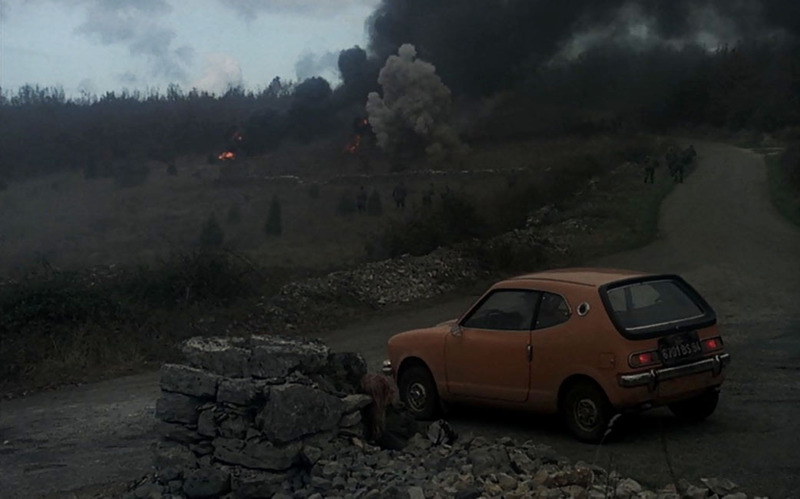 These opening scenes suggest the beginning of another movie; with his grey-hued images of warfare (male soldiers wearing gas masks, female prisoners of war being lined up and executed), Malle edges into post-apocalyptic territory. However, the film’s tone quickly shifts as Lily finds herself separated from her car and wandering the farmland, eventually stumbling upon a secluded, Eden-like farmhouse wherein the rest of the film takes place. Within these establishing scenes, Malle efficiently conveys a distinct gulf between the war-torn adult world and the idyllic, childlike world to which Lily flees. It comes as no surprise, then, that the film is peppered with playful nods to Carroll. For example, one cannot watch the scene in which Lily struggles to clutch an oversized glass of milk without being reminded of those mysterious potions that caused poor Alice to shrink and expand. Like Carroll’s story, Black Moon also incorporates anthropomorphised animals (including a trash-talking unicorn) and is infused with a deep love of nature (in one scene, a patch of flowers cries and shrieks as Lily angrily tramples it; in another, the camera lovingly lingers on a variety of insects surrounding Lily). Before Lily’s inevitable entrance into adulthood (which is unsubtly symbolised by a snake slithering up her dress), Malle first gives youth a fitting swan song in a scene of extraordinary beauty. 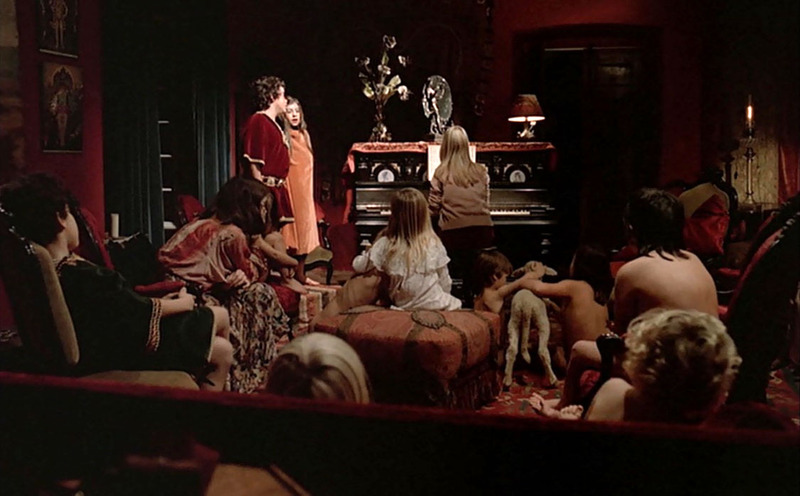 Toward the end of the film, Lily plays the piano as an unnamed, costumed boy and girl sing an excerpt from Wagner’s Tristan and Isolde; surrounding them are countless children. Malle’s shots of the children painting their faces and listening, transfixed, to the performance inevitably calls to mind the lost boys of Peter Pan. At the end of the performance, as Lily struggles to play against a wind that threatens to blow her music sheets away, all of the children inexplicably disappear; these boys and girls, like Barrie’s mythical children, will never be seen growing up. 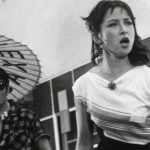 While its symbolic implications can yield some insight and are clearly not just strange for the sake of being strange, Black Moon can also operate just as well on a purely visceral level. Thanks to Sven Nykvist’s typically gorgeous and sensual cinematography, an aesthetic beauty permeates the entire film; any shot from it can easily be displayed in an art exhibit. Like an unsettling yet beautiful dream, the film almost exists beyond thought and beyond analysis. It is perhaps best viewed alone, late at night, when one is already half asleep. What separates Black Moon, then, from other benchmark surreal films, like Bunuel’s Belle de Jour and Lynch’s Eraserhead, is that even in its most violent and disturbing moments, a serene melancholy imbues every frame. One can easily imagine Lily, much like Alice, pleasantly dreaming up these things beside a river during a lazy, beautiful day.